When your burglar alarm goes off, you want to know it’s real. So do the police. Flooded by false alarms from regular burglar alarm companies, many cities established standards for confirming a break-in is real before they send officers. False alarms drain scarce police resources and can create a “boy who cried wolf” situation. Some cities have enacted “enhanced call verification” policies, some have established “verified response” ordinances and others charge significant fines for false alarms. 2) Verify a break-in is actually taking place. Cities with this policy require alarm verification either through an eyewitness, a private security guard or electronic surveillance. Verifying alarm signals is what we do best, and it’s the core of our business. With alarm verification, you’ll get a faster police response to a real crime and many fewer false alarm calls and fees. Sonitrol Pacific’s Everett Verification Center® focuses on early detection and verification of alarms. If your security system goes off, our experts verify it with audio and/or video technology. Unlike motion sensors that can be triggered by a spider or a piece of paper falling off the wall, audio sensors let our operators hear what’s happening live. Hear how audio allows us to tell the difference between a break-in and a false activation. Verified security. It’s worth it. We want to eliminate false alarms and stand behind that promise with a false alarm fine guarantee in our “Commitment to Service.” If you get a false alarm fine caused by Sonitrol Pacific, we’ll take care of it. 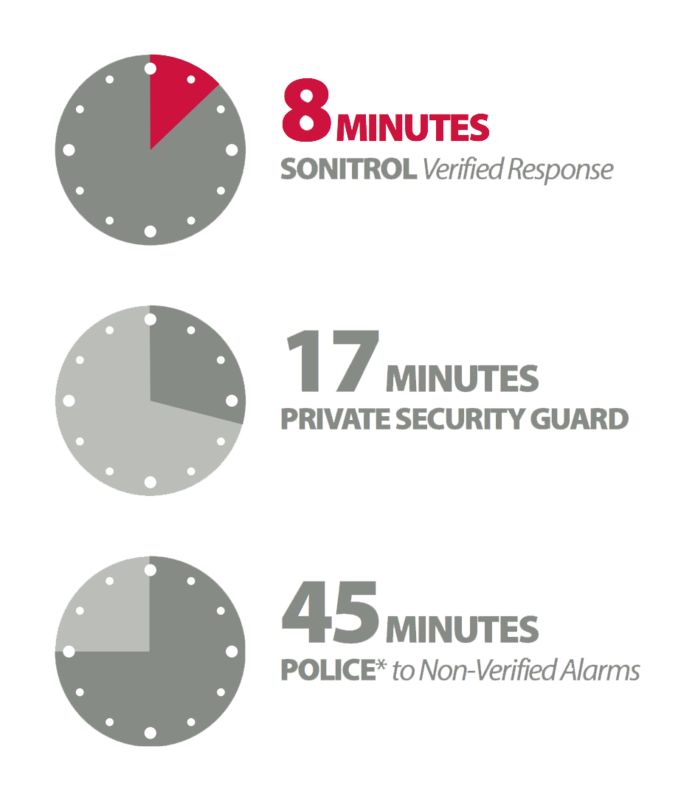 A Sonitrol Pacific designed and monitored security system is so effective that more than 6,000 suspects have been arrested since 1978.